You can receive treatment in the privacy of your own home. Have you ever passed the whitening kiosks in the mall and wondered who would choose to whiten their teeth in such a public setting? If so, you may be reluctant to visit a dental office for whitening as well, preferring to start your journey to a brighter smile in the comfort and privacy of your own home. If you feel this way, a whitening kit is a great option for you, offering a do-it-yourself alternative to some of the more public whitening methods. You can whiten your teeth on your schedule. People today are perhaps busier than ever before. Thus, it can be hard to set up a dental appointment that fits your schedule. With a Rockstar White teeth whitening kit, however, you can whiten your teeth on your own schedule. Just set aside an hour or two to wear your whitening trays each day, during which time you can watch television or complete other tasks. Your feelings about your smile can affect you far more than you may think. 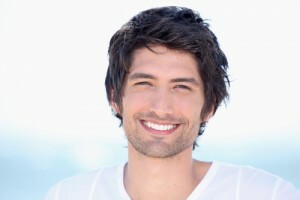 If you are self-conscious about your smile, it could be affecting you much more than you realize. People who are embarrassed about their teeth tend to hide them or even stop smiling altogether. Over time, as smiling occurs less frequently, your entire outlook can be impacted in a negative way. With a teeth whitening kit, however, you can feel more positive about your smile, boosting your confidence and improving your outlook.